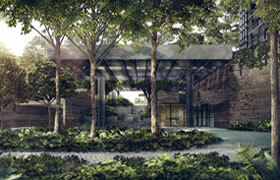 In Singapore, GuocoLand is a recognised developer of eco-friendly projects. For its commitment towards environmental sustainability, it has won the Building and Construction Authority (“BCA”) Green Mark Awards for projects such as Guoco Tower, Goodwood Residence, Sophia Residence, Leedon Residence, The Waterline, Elliot at the East Coast and The Quartz. 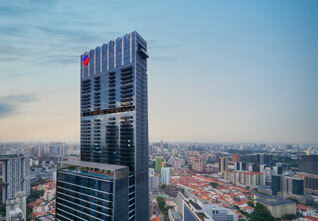 Starting at 180 metres and soaring to 290 metres above sea level, Wallich Residence is an exquisite collection of 181 luxury private residences that crowns the landmark vertical city - Tanjong Pagar Centre. Wallich Residence defines new heights of prestige, elevating your living with breathtaking sea and city views. Located in the heart of the new Central Business District, Wallich Residence offers the perfect blend of exclusivity and convenience at Singapore’s most prestigious address. Located at the junction of Sims Drive and Aljunied Road, Sims Urban Oasis is a prime 99-year leasehold residence surrounded by a myriad of amenities. Being a mere 350 metres away from Aljunied MRT, Sims Urban Oasis is well connected to various growth areas such as Paya Lebar Sub Regional Centre, CBD and Kallang Riverside. 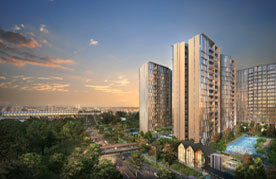 With a diverse choice of unit types and over 50 facilities, Sims Urban Oasis is a residence catered for everyone.